It is planned that Whitchurch Heritage Centre will act as a history hub and become the depository for Great War research relating to Whitchurch, Shropshire and its surrounding areas. Individuals, families, groups and schools will be encouraged to deposit their studies. The research can be in the form of either paper records, photographic evidence or electronic copies. The project’s history hub will have an associated website, www.thegreatwar.whitchurch-shropshire.co.uk, this will allow information to be shared with the wider public. It will include photo galleries and a facility to post queries. Also a list of research projects – planned, current and proposed will be created. It is envisaged that this online history hub will inform interested groups and individuals of research that has already been completed on Whitchurch, Shropshire related WW1 topics. The website will be a vehicle for the exchange of ideas relating to the Great War and will hopefully prevent the duplication of research. It will also identify topics requiring further investigation, and hopefully act as a pointer to new areas of study. WW1 research relating to the Whitchurch, Shropshire area will be identified, recorded and made accessible to the public. An online archive will be created to focus solely on the people and places of the Whitchurch, Shropshire area between 1914 and 1918. The project will enable the people of Whitchurch, Shropshire to develop their knowledge of the Great War and understand how it affected their community.  Today, the volunteers at Whitchurch Museum & Archives have received £6,400 from the Heritage Lottery Fund (HLF) for a project based at Whitchurch Heritage Centre. Awarded through HLF’s First World War: then and now programme, the project will focus on a Great War Communication Exhibition and the creation of a Whitchurch WW1 website. It is planned that Whitchurch Heritage Centre will become the depository for Great War research relating to the town and its surrounding areas. Individuals, families, groups and schools will be encouraged to deposit their studies. The research can be in the form of either paper records, photographic evidence or electronic copies. A dedicated website www.thegreatwar.whitchurch-shropshire.co.uk will be set up to act as a hub to allow information to be shared with the wider public. It will include photo galleries and a facility to post queries. Also a list of research projects – planned, current and proposed will be created. The project also includes recording war memorial inscriptions relating to individuals from the town and surrounding villages. Drop-in coffee mornings will be arranged in and around Whitchurch where people will be able to share their family memories and take advantage of a free high-quality scanning service to copy fragile letters and documents relating to WW1. This will enable local people to mark the Centenary of the First World War by coming together to preserve the memories and heritage of the people who lived through the Great War. Volunteers will collect photographs, newspaper clippings, documents, letters and photos of keepsakes, as well as family tales passed down to help them build a clear picture of what life was really like. With help from professionals, the information gathered will be digitally recorded and an on-line interactive archive will be created where everyone can access, contribute and discuss information. Reyahn King, Head of Heritage Lottery Fund West Midlands, said: “The impact of the First World War was far reaching, touching and shaping every corner of the UK and beyond. As the Centenary approaches we’re pleased to support the Whitchurch community as they seek to understand how communication was kept alive during the conflict.